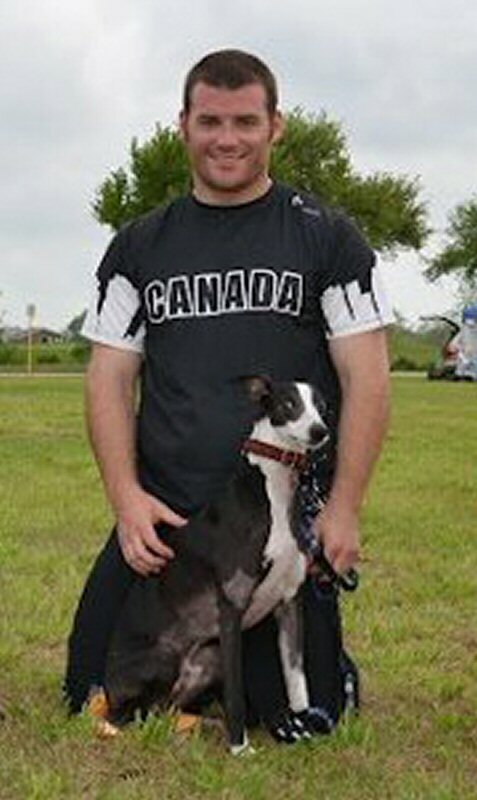 Rob McLeod, a resident of Calgary, Alberta, Canada, set a new Quadruped World Record at the Houston Quadruped, March 18, 2012 in Houston, Texas when he threw a Frisbee 101.3 yards to Davy Whippet, officially setting their second World Record as a team. “As much as it’s me throwing the disc, Davy is the reason for our success. If he wasn’t fast enough to get to my throws and smart enough to catch them, I would not be where I am today,” said McLeod. 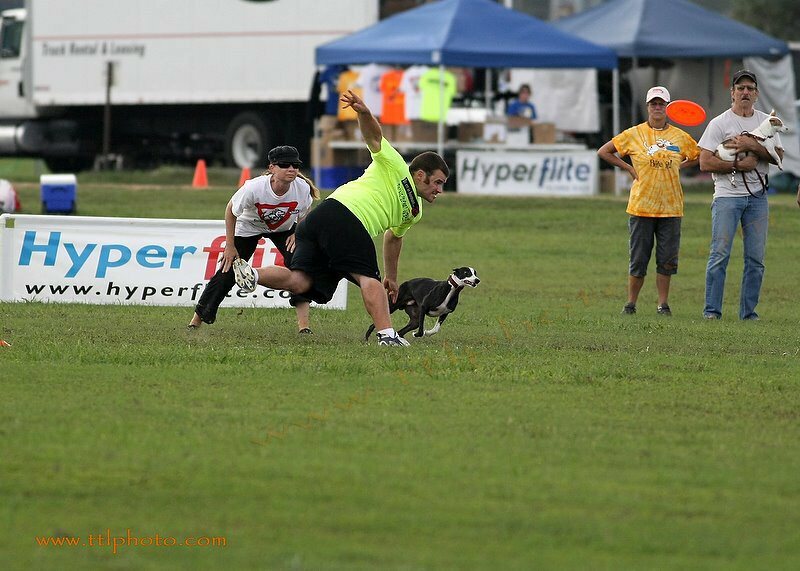 This being only their second canine disc event, Rob and Davy Whippet won the Xtreme Distance World Championships in September, held in Chattanooga, Tennessee, which was their first official competition as a team. They also hold the World Record in the Skyhoundz Men’s Classic Plastic division with a throw of 92 yards. McLeod’s goal is to set the World Record for the longest throw and catch to a dog, which is currently held by Mark Molnar, who threw a disc to Cheyenne Whippet 118.9m which is around 130 yards. To put that into perspective, an NFL football field is 100 yards from goal line to goal line. McLeod also competes in disc golf, and other disc sport events including ultimate Frisbee, self caught flight and human freestyle although the latter is a sport he’s just gotten into. In his spare time McLeod teaches dog owners how to throw Frisbees for their dogs and can be booked for clinics by contacting him.